If you enjoy fine dining then Berlin is definitely worth a visit. With 19 Michelin stars shared across 14 Berlin restaurants, you could spend a fortnight dining in Germany's capital without repeating a restaurant. With every edition of the Michelin guide Berlin's restaurants receive a few more stars, an acknowledgement that Berlin's cuisine is on the constant up and up. Almost all of Berlin's Michelin starred restaurants are located in the centre of Berlin in Mitte, with a couple in Prenzlauer Berg. Michelin starred restaurants in Berlin serve a range of cuisines including modern international, asian, creative, grill, German and French. 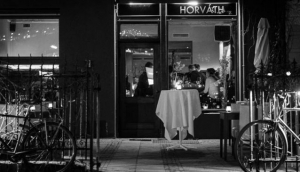 With 1 Michelin Star, Weinbar Rutz offers not only one of the best wine selections in Berlin, but also offers one of the best fine dining experiences in the city as well.